South Korean baritone Siwoung Song received his training at the Music and Art Conservatories of his hometown Seoul, in Vienna, Munich and Salzburg. In addition to appearances in oratorios and in title roles on the international opera stage, the young baritone puts his main focus on Lied singing. The constructive collaboration with the great song accompanist Helmut Deutsch led in April 2014 to the song recital presented here. 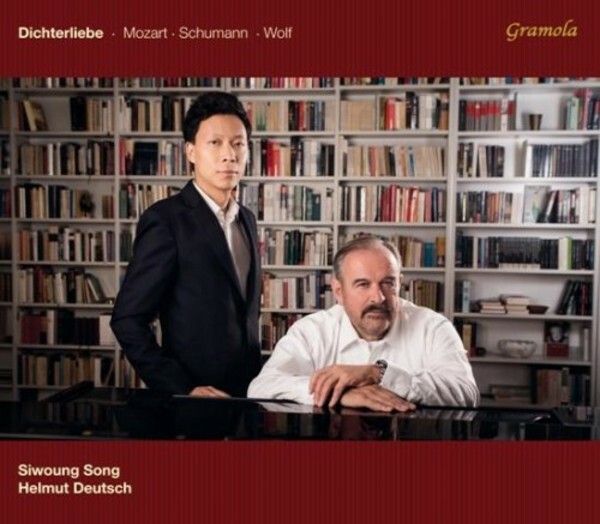 Along with the song cycle 'Dichterliebe' op.48 by Robert Schumann after poems by Heinrich Heine, the program consists of selected songs from the 'Italian Songbook' by Hugo Wolf and from W A Mozart. A promising CD debut with highlights of German Romantic Art Song.